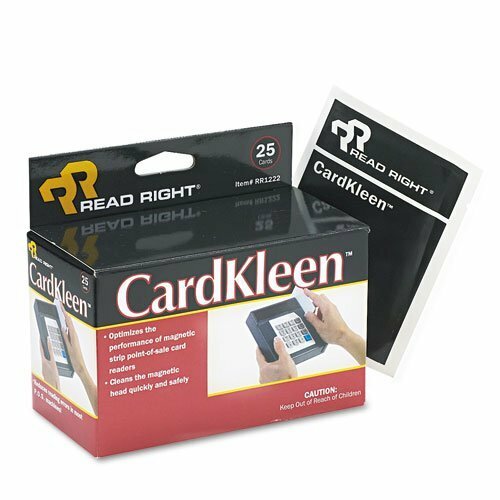 Presaturated cards instantly clean magnetic heads on point-of-sale credit card readers, access control/ID card readers and all open systems. Just swipe to clean. Nonabrasive. 25 individually wrapped cards per box. Presaturated magnetic head cleaning cards. 25 individually wrapped cards per box. If you have any questions about this product by Read RightÂ®, contact us by completing and submitting the form below. If you are looking for a specif part number, please include it with your message.